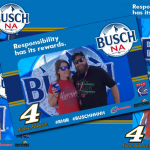 It was an exciting and responsible NASCAR Championship race weekend at Homestead-Miami Speedway on November 17 and 18, 2018. 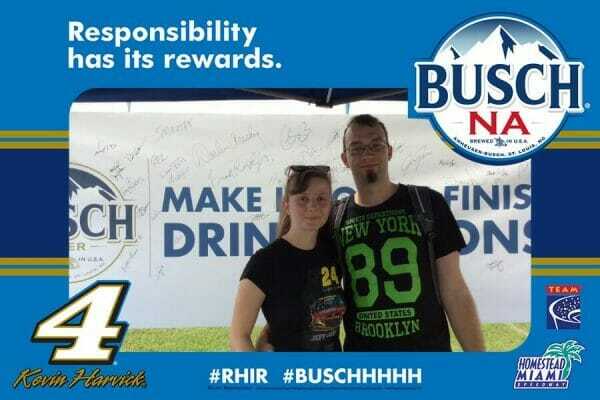 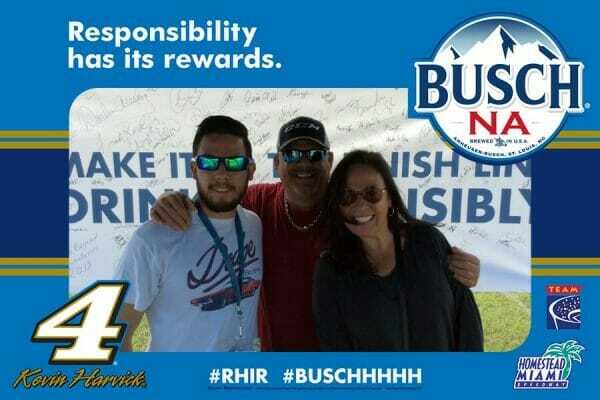 Before the drivers started their engines for the Ford EcoBoost 300 on Saturday and the Ford EcoBoost 400 on Sunday, a total of 661 fans took the Busch NA Responsibility Has Its Rewards pledge – a promise to never drive drunk and always have a safe ride home. 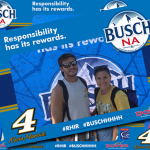 The activation was a partnership between NASCAR, Anheuser-Busch, Eagle Brands and TEAM Coalition. 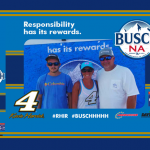 All of the participating fans had the opportunity to spin the Busch NA prize wheel, autograph the responsibility wall and receive a free souvenir photo. 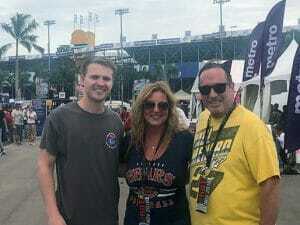 The 394 photos taken have been shared 900 times via text forwarding and social media, an average of 2.3 views per photo. 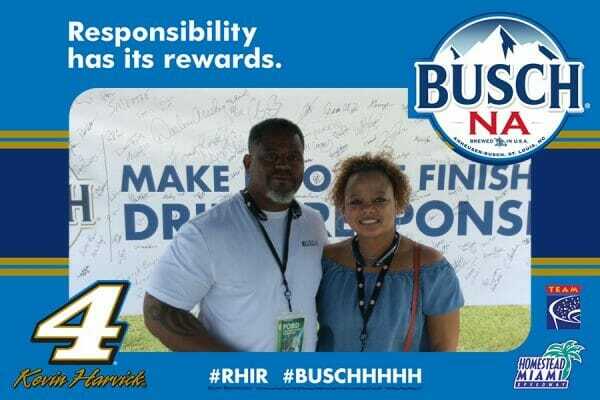 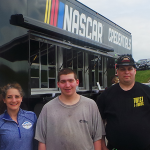 The Responsibility Has Its Rewards grand prize sweepstakes winner – Tina Licko of Cary Illinois – attended the NASCAR Mnster Energy Cup race. She and her guest, David Smith, received the grand prize of the sweepstakes including round trip airfare, three nights hotel accommodations and hot passes for the race weekend. 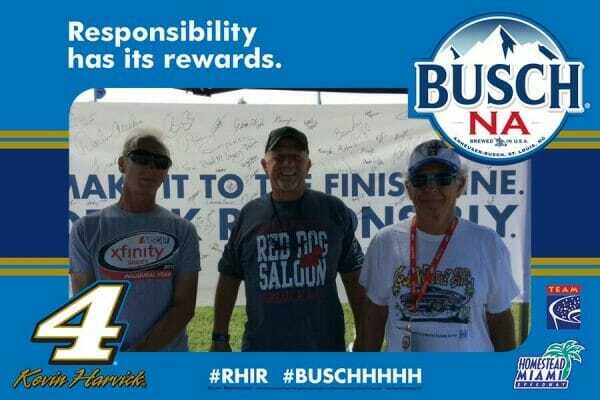 Responsibility Has Its Rewards sweepstakes grand prize winner.